The world of academia is full of hyper inflated academics with multiple titles, prizes, honors, publications, grants and "original" ideas. 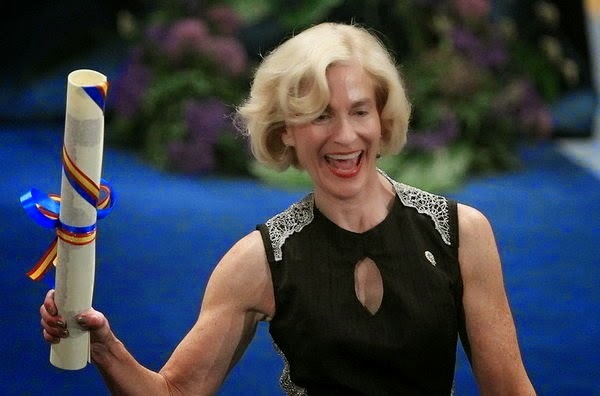 Martha Nussbaum, Ernst Freund Distinguished Service Professor of Law and Ethics at the University of Chicago, is a typical case in point; her accolades border on the preposterous. She has 50 honorary degrees from colleges and universities in North America, Europe, Africa and Asia. Among the many awards she has received are the "American Philosophical Society's Henry M. Phillips Prize in Jurisprudence" and the "Prince of Asturias Award for Social Sciences." She has been honored multiple times including as Corresponding Fellow of the British Academy, Past President of the American Philosophical Association, and listed among the world's Top 100 Intellectuals by The Prospect/Foreign Policy global poll in 2005, 2008, and 2010. Her great contribution to knowledge, apparently, has been a "capabilities approach" to development, which she originated together with economist Amartya Sen. The approach is actually very pedestrian and merely regurgitates the old Marxist idea that achieving the economic well being of all humans in the planet should be biggest priority in the pursuit of justice. She argues that humans need real opportunities in order to develop their "capabilities." Humans cannot live up to old age and develop their "capabilities" when they are deprived of food, political freedom, and religious tolerance. This is a variation on Friedrich Engels speech at the grave of Marx, "Mankind must first of all eat, drink, have shelter and clothing before it can pursuit politics, science, religion and art." The difference is that Nussbaum scavenges a few thoughts from Aristotle to argue that humans should be afforded with cultural opportunities together with economic means to develop their full capabilities. In short, Nussbaum is one more cultural Marxist in academe. Combined with her "capabilities approach," her other original accomplishment has been the promotion of multiculturalism in Western societies and the idea of "a citizen of the world." Her driving motivation is that whites have a moral responsibility to develop the capabilities of all humans. She offers no policies about how to solve world poverty other than the same empty slogans leftists have bandied around for decades. But she is quite good moralizing about the subject and inflicting guilt on her whites students about their privileges, their "ethical egoism" and antisemitism. She condemns the practice of female genital mutilation alright, but the moral onus is on white feminists to abolish this practice and thereby promote the capabilities of non-European females. I converted to Judaism at the age of 21, and I felt then, as I do now, that Judaism is above all a moral identity, connected to the love of justice. I felt that I was dedicating myself to a program of moral action aimed at realizing justice in the here-and-now rather than in some dim Christian afterlife — that, as Moses Mendelssohn once wrote, "The highest stage of wisdom is incontrovertibly doing that which is good." More viscerally, I felt I was leaving an elitist WASP culture that cared not one whit for social justice to join a liberal, socially alert Jewish family that read I.F. Stone and The Nation. What Nussbaum found in Judaism was an ideological program for the reinterpretation of Western Civ in a cosmopolitan direction against European ethnocentrism and uniqueness. There are a number of ways in which the history of Western Civ has been misinterpreted, misused, and manipulated. 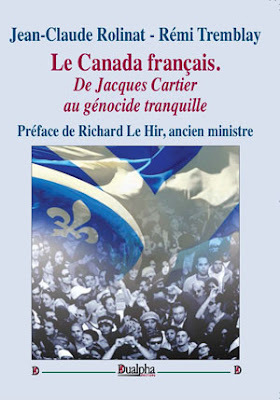 Some in the European New Right blame Christianity for the current promotion of diversity and mass immigration, which I questioned here; still, the ENR has the proper attitude towards Europeans, and does not willfully seek to mislead anyone, but is sincerely trying to understand how we got into the current mess. Then we have the pathological leftists who hate the West or think it managed to "diverge" from Asia only as a result of "windfall gains" from the Americas. Then there are those who actually voice great admiration for Western Civ on the alleged grounds that this civilization mandates, from its very origins through to modern times, the promotion of race-mixing and mass immigration. They believe that the West engendered the universal values that are necessary for the creation of a race-mixed New World order, and they admire the West for this, but demonize Europeans who show loyalty to their ancestors and any form of ethnic affirmation. European ethno-nationalists, and only European ethno-nationalists, are seen as retrograde fascists on the "wrong side of history." Nussbaum admires the West but calls her WASP father a "racist." In Judaism she encountered a morality that would allow her to bring out the multiculturalism she alleges is embedded in classic Western works, unappreciated by the radical leftists. When I first encountered Nussbaum's work some 15 years ago, I interpreted it as a sensible questioning of leftist excoriations of the West; only later did I start to see that her admiration was not for the ideas of Europeans but for ideas that she could manipulate to justify the promotion of a radical program of race mixing against any form of European ethnic identity. But as the reviewer who cited this passage points out, much as Martha Nussbaum eulogizes over the importance of an education in the classics, "she is an unscrupulous propagandist." She cleverly twists the ideas of classical philosophy to serve the contemporary ends of feminism, gay rights, racial integration, and mass immigration. Rather than making generalizations, here I will focus on one essay, Kant and Cosmopolitanism, published in a book, Perpetual Peace: Essay's on Kant's Cosmopolitan Ideal, commemorating the 200th anniversary of the publication of Kant's essay Toward Perpetual Peace: A Philosophical Sketch (1795). This book contains essays by major luminaries such as Jürgen Habermas, Axel Honneth, Thomas McCarthy, and David Held. The argument of Nussbaum's essay is that Kant was deeply influenced by Roman Stoic philosophy in his defense of a "politics based upon reason rather than patriotism or group sentiment. "2 Seneca, Marcus Aurelius, and Cicero, she says, were the main intellectual sources behind Kant's cosmopolitan citizen. any human being might have been born in any nation...Recognizing this, we should not allow differences of nationality or class or ethnic membership or even gender to erect barriers between us and our fellow human beings. The race of the American cannot be educated. It has no motivating force; for it lacks affect and passion...They hardly speak, do not caress each other, care about nothing and are lazy...The race of the Negroes...is completely the opposite of the Americans; they are full of affect and passion, very lively, talkative and vain. They can be educated but only as servants. This aspect of Kant's thought has been well documented by Emmanuel Chukwudi Eze in his long essay, The Color of Reason: The Idea of 'Race' in Kant's Anthropology. Most of the writing by Nussbaum under examination is concerned with this claim. She relies mainly on Seneca's book on anger to make the claim that for the Stoics anger was not an instinct of human nature; rather, anger was a socially generated attitude that could be removed from humans. Humans "are born for mutual aid and mutual concord," but anger stands in the way; therefore children must be educated in such a way that they never become angry in the face of difficulties and conflicts. This removal of anger "will cut down greatly on the world's total conflict. "7 Anger, and the accompanying attitudes of fear and hatred, "are constructed by social evaluations and can be undone by the patient work of philosophy. "8 In fact, according to Nussbaum's interpretation of the Stoics, all the passions (grief, fear, love, hatred, envy, jealousy) are the product of the way children are raised and educated. She makes these claims without any direct quotations from the Stoics or Seneca, other than indirect references to some books and article titles. She gets even more absurd employing Stoic philosophy to "eradicate" racism, which she calls the most "pernicious form of anger and hatred," the "hatred of other members of other races." "The rearing of nonracist children" and the "suppression of unreasoning misogyny"10 is what Stoicism is all about. There will be "Stoic success" in education when "hatred of the foreigner" is "eradicated" "through programs of education that will make the Stoics' and Kant's idea of world citizenship real in our schools and universities." "Eradicating passions" that have existed in humans as humans since the beginning of time is not "in the least a totalitarian idea," says Nussbaum, but a fulfillment of classical philosophy. This is cultural Marxist writ large; it has nothing to do with Stoicism. Seneca's advice on how to deal with anger was dramatically different. 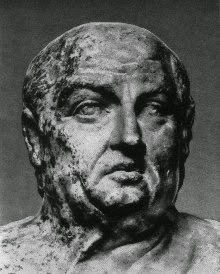 For Seneca, people get angry because they are too optimistic in their expectations of what is possible in life; people should lower their expectations, come to terms with the limits set by nature and by the fact that there are many things in life that are beyond our control; we can learn to self-control our own passions, but we should not delude ourselves overestimating our capacities to change our surroundings in such a way that we will never encounter problems and difficulties that will tax our patience and self-control; we should learn to expect problems and to accept the inevitability of bad situations and bad outcomes, and bad people (like Nussbaum). What we can do is learn to master better our emotional reactions to those things that are beyond our control. If it were only a matter of criminalizing "racist" acts, but we are dealing with an ideology that is dedicated to the transformation of European-majority cultures into race-mixed societies; a "radical program," as Nussbaum likes to say, in which European children (regardless of whether they acted in a "racist" way or not) are being compelled to accept the destruction of their parents heritage and those who question it are being criminalized! Yet, this incredibly affected, pretentious, artificial, actorly and super mediocre woman has the nerve to demand the "extirpation" of anger from children who may voice discontent and prideful anger against the demoralization of their cultural lineage, She wants to designate any form of anger as a form of psychological maladjustment requiring life-time forms of brainwashing and policing. Nussbaum, said to be a foremost scholar on Aristotle, might have considered Aristotle's argument that lack of anger "at the right things" is a vice in that it shows a lack of pride. When someone infringes on your status, attacks your family, friends and beloved culture, anger is a necessary response; it is what a good man would show. Let Aristotle have the last word, and let it be known that the great minds of the Western tradition would have never agreed with the efforts of Nussbaum to destroy any sense of pride among Europeans by "extirpating anger" from them. This article was absolutely amazing to read. It is suitable for an anthology. If there were any accountability in left-wing academia, Martha Nussbaum's "scholarly" career would have been over in 1993. That was a great read. I can't believe morons like her are showered with 50 honorary doctorates for being so stupid. I had always suspected that academia was full of intellectual fraud and self-indulgence, but I did not realize the extent of it until my first year at university. I could hardly believe it but i can tell you that I literally had professors make things up as they went along and say things that were patently false in their lectures in order to string along their ridiculous anti-Western tirades. I mean, they couldn't even get the basic facts right, one of my profs told his class that the Qing dynasty ended in 1800, another that English grammar comes from Sanskrit! That's just two examples out of many in only the first week of lectures. This is a guy with a PhD and a five digit salary! You want social injustice? How about these self-righteous parasites who get payed doctors' salaries to lie and to regurgitate marxist platitudes to impressionable young students who are paying thousands of dollars a year in the hopes of getting a practically worthless degree so that they can have any hope of finding a job. These people are conmen and worthless parasites, and they're a drain on society. Education has now been 'equalized'. I wonder how she reconciles the racism of her adopted faith with her world view? As a jew in Israel try to marry a muslim and see how far you get! Look at the cultural nepotism in finance and law in the U.S.A. and tell me that she hasn't traded her WASP elitism for Jewish elitism. I sent Martha the article, using the usual academic format addressing in a polite way "Dear", welcoming her to offer a reply, but she said she has a "fixed policy" of not dealing with online publications. I think it is also a tacit policy of not dealing with arguments she can't handle. Leftist academics have been getting a free ride for decades with little opposition. The arguments from our perspective are way beyond their radar of knowledge, used as they are to images of illiterate KKK characters and skin heads. One must read the Talmud to view Judaism's great compassion for non-Jews aka goy. They are viewed as nothing more than human cattle to be fleeced. So much for her moral compass. She must fit right into the Zionist's elite mentality. Supremism int hose who identify as "Jews" is essentially to tell others how to run their llives while not allowing the same for their own tribe. http://come-and-hear.com/dilling/index.html will help in understanding this dillusional mind set.